Well I bought a couple of new magazines and my grandpa gave me a new book. The book on the left my grandpa gave me one of the ladies at his church was giving away books that she doesn't need/want anymore. So he got it for me. 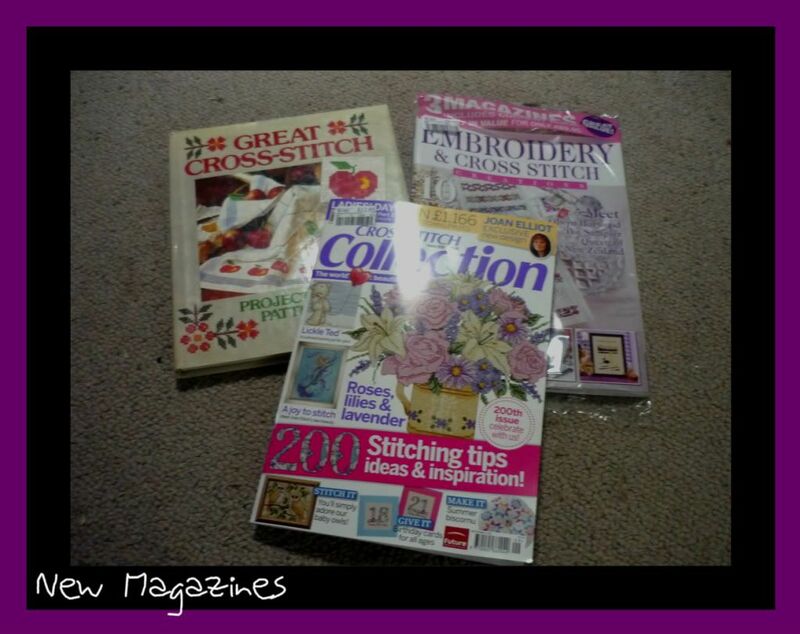 I also got the latest cross stitch collection for Australia and Embroidery and Cross Stitch. There are so many lovely projects! a new mermaid from Joan Elliott and a fun biscornu. Also there is the lovely book covers, one from Jenni at Tapestry Moon and the other is a Lickle ted one. I don't have enough time! 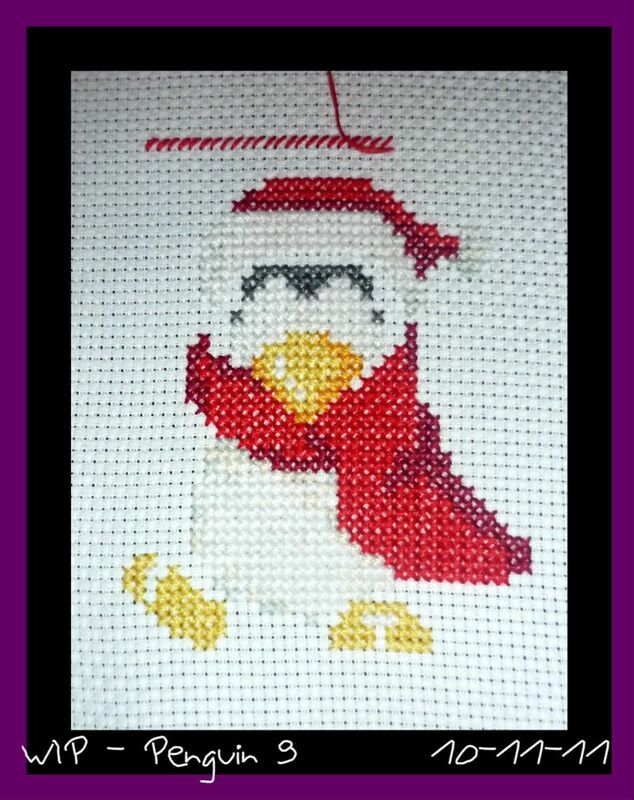 And here is my latest penguin. He is half finished. Just 3 more colours to add! Your penguins are so cute! Love the penguin, too cute!! What a wonderful grandpa you have!! That was sweet of your Granpa! And I know exctly what you mean about not having enough time to stitch everything we want to!